Tuck mattresses are the next generation of mattresses on the market today. Tuck offers a fully customizable shopping experience so that you can get the mattress that suits your body type, and sleeping habits. 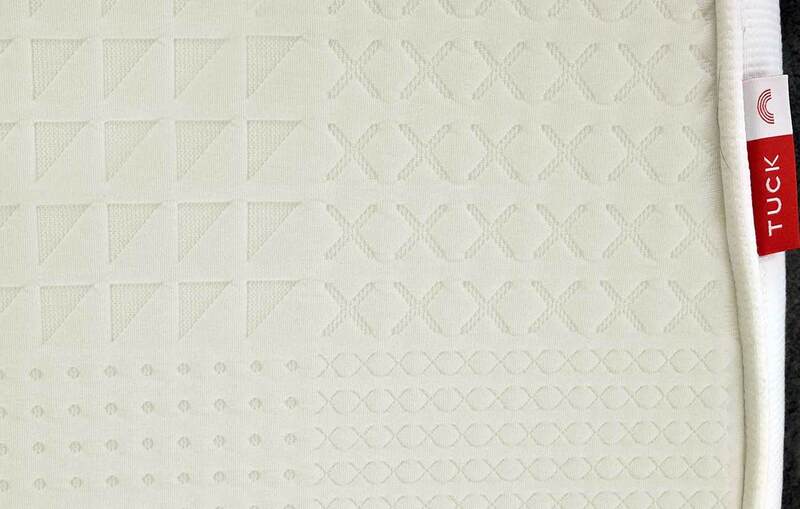 Considering that everyone sleeps differently and looks for something different in a “good” mattress, I found the idea of a customizable mattress intriguing. What Makes the Tuck Mattress so Special? Tuck builds you a mattress just for you. Using an online questionnaire, I was able to answer a series of questions about how much support I generally prefer in a mattress; how I wanted my mattress to feel; how much conformity I preferred in my mattress (meaning how I like to sink into it and how it wraps around me); how much motion I can tolerate; and finally, how cool or warm I prefer my mattress to be when I am sleeping. I found the questionnaire to be in depth enough that I felt confident Tuck would understand my needs. The questionnaire also asked me to answer questions such as information about my height, weight, gender, and sleeping habits. 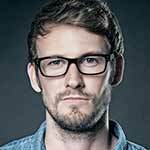 The website does a good job of walking you through the process and telling you why they need this information from you. Many people share a mattress with another person, so you can customize your Tuck mattress to represent a combination of both people’s answers, or Tuck will create a mattress that contains two profiles. I share a mattress with my partner, so she had to enter her information into the Tuck online assessment as well. 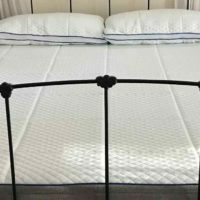 If you opt for a two profile or dual comfort mattress, you’ll need to consider that both sides of the bed may be quite different. This may not be an issue if you sleep on the same side of the bed each night. 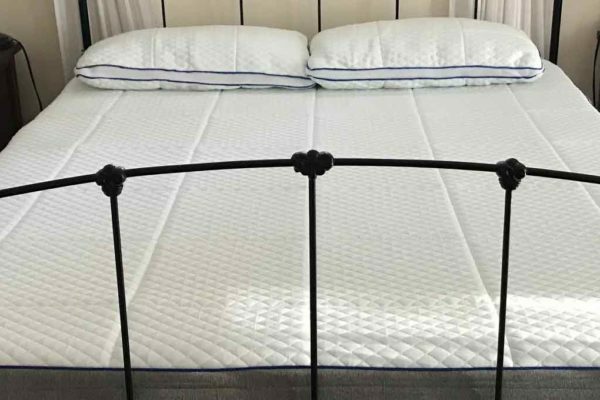 Since I always sleep on the same side of the mattress, but actually had a very different mattress profile than my partner’s, we opted to get the dual comfort mattress. Tuck uses an algorithm to calculate all of the information you provide during your sleep assessment. 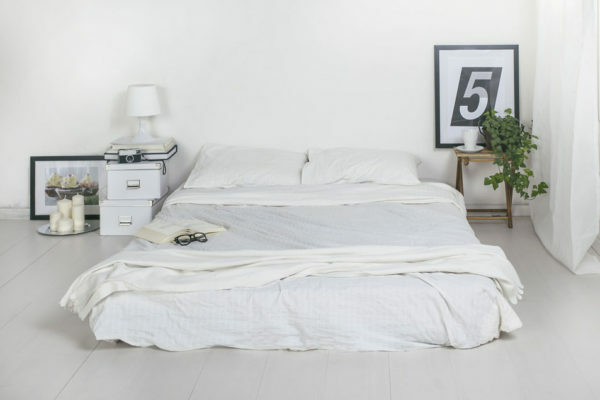 This algorithm determines the final look and feel of your new mattress. I was really excited to see what the algorithm would determine was the best kind of mattress for me and my partner. When the mattress arrives at your home, it will be in a box and you’ll have to remove the plastic covering to allow the mattress to breathe. We kept our old mattress for one more night while we waited for our new mattress to “come to life”. you should be prepared to wait about 24 hours for your mattress to inflate. Right away I noticed the cover on the mattress had a variety of textures on it – it was very clean and fresh looking. I also noticed right away how much “bounce” the Tuck mattress had – depending on the specs you provided the retailer, your mattress may differ from mine. But a medium firm bed will give you a great deal of support, along with the right amount of conformation. I like to sink into my bed but feel like I am well supported. This mattress made me feel comfortable, cool and properly supported. 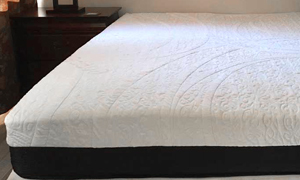 The thickness of the memory foam will vary from bed to bed, but compared to other memory foam mattresses, the Tuck mattress we ordered had really good responsiveness when we put our weight on the bed and then get off the bed again. We did the sit test: you know, basically jumping up and down on the side of the bed while sitting to see how the mattress responded. It came back to its original state almost instantly when I got up off the mattress. We had set our mattress on top of our pre-existing box spring, but they can be placed on the floor or on a rail system as well. When you test your mattress for yourself, you’ll find that the amount of support is inline with what you typically enjoy for sleeping conditions. I was pleasantly surprised at how comfortable the mattress was upon first testing it out. The company prepares its mattresses to provide proper spinal alignment, so you might not find the bed comfortable upon the first or second use if your current mattress hasn’t been providing you with the support you actually need. It will take a few days to get used to the new mattress and proper spinal alignment when you sleep. My previous mattress had a dip in it so I knew right away I was not getting the proper spinal alignment that the Tuck mattress was able to give me. I don’t like feeling hot when I am sleeping. I had indicated that I like to sleep in cooler conditions and I found the mattress to prevent overheating while I was sleeping. Depending on the condition of your current mattress, you will feel the difference right away. I certainly could tell that the bed was designed to cool me down. Perhaps it was just because it was a new mattress, but my old mattress did not feel cool when I would sleep. Finally, when the mattress was all unpacked and inflated, I noticed how durable the Tuck mattress was. The materials used are excellent quality and will provide you with a good night’s sleep. Because no two mattresses are built the same, different materials are used to customize different mattresses. Your mattress may contain materials such as a pocketed coil system to reduce motion sensitivity, copper infused gel memory foam to reduce heat while sleeping, or a Nana coil system to reduce conformity. Depending on the answers you provide during your assessment, you will get a mattress built for you. The Tuck mattress is available in all the classic mattress sizes: twin, twin XL, full, queen, king and California king. Pricing ranges from $600USD for the twin size mattress to $1200USD for the king/California king size mattress. Considering how much a mattress costs in a typical furniture store or mattress studio, $1200USD is not a bad price for the possibility of getting a tailor made mattress. My partner and I ordered the queen size mattress for just under $1000USD. We’d like a bigger bed, but out house size doesn’t allow for it. Tuck mattresses are customized to suit your body type, so there are no weight limits put on these mattresses. Most conventional mattresses have a weight recommendation because of the quality of materials and life span associated with them. I weigh about 80 pounds more than my partner, so my side of the mattress was built to suit my weight and body shape, while her side of the mattress was built for her body weight. The only way to know if a Tuck mattress is right for you is to try it out for yourself. The company offers a 100 day free trial so you can order your custom mattress and then decide for yourself if you like the quality and the specs associated with your individual mattress. We got our mattress within the 5 days the company guarantees for shipping. You will be quite surprised to see that the mattress looks as flat as a pancake when it comes out of the box. The mattress has no weight restrictions; we were able to create a dual comfort mattress for our weights. Customization is ideal for people with specific needs; I like to sleep on my back and my partner likes to sleep on her side. The price is right; it’s hard to get anything for less than $1000USD these days, especially a good quality bed. The 100 day trail period is a good guarantee of satisfaction. Tuck offers a great deal of customization which is great, but also provides room for complications. I was pleasantly surprised by how well the Tuck mattress fit the specifications I provided on their questionnaire. I received a bed that was comfortable and supportive for both my partner and I. Given the customization options, 100 day trail period, warranty and competitive pricing, the Tuck mattress checks all the boxes for a good night’s sleep. Overall, I would say this mattress delivers on what it promises. Check out the Tuck Mattress for yourself.